In order to be able to think in terms of abstract principles – to consider not just when a particular action or choice is right or wrong, but to act on principle in previously unmet cases – a certain level of intellectual, or cognitive, development is needed. We reach that level during the teen years. 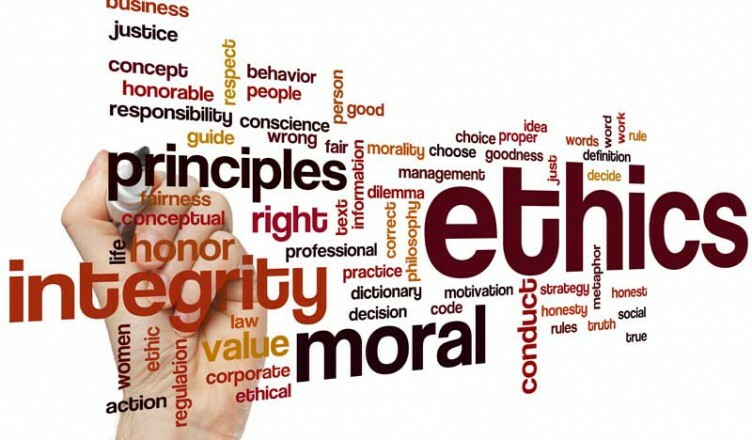 Thus teens become able to think about and define their own morals and values, whereas previously, they were likely following (or not following) a set of rules given to them by others. They also become able to see ranges in ethical choices, rather than simple and simplistic black and white extremes. Questioning adult values and/or the values they’ve been given is a standard part of development. And teens, as they become more independent, are empowered to try out more actions and choices, and both positive and negative actions and choices – and the response these actions and choices evoke – can help refine their principles. Driving allows them to move around independently and make more of their decisions when parents are not present to provide guidance. The Surgeon General, among others, has emphasized the importance of teaching teens values, as well as allowing them to make choices and experience the results. “The values and lessons that you teach your teenager will shape the adults that they become,” Dr. Richard Carmona said in a set of tips to keep teens safe issued at the end of 2005. On the other hand, teens don’t always follow their values when it comes to their behavior. The 2004 biennial study of about 25,000 high school students by the Josephson Institute of Ethics sheds some light on this. The research found that while 98% of the teens said it was important to be a person of good character, 90% said that being a good person is more important than being rich, and 98% and 94% respectively said that in personal relationships first and in business and the workplace second, trust and honesty are essential, their behavior didn’t match. The research found that 62% of the same teens said they cheated on a test, 82% said they had lied to a parent about something significant, and 27% had stolen something from a store, all in the last 12 months. The Institute postulates that this discrepancy is explained by cynicism. Teen belief that immoral behavior – lying and cheating, for example – is necessary to succeed, and that success means doing what it takes, whatever that is suggest that teen values are built around success, not a moral standard. Teaching teens morals and values keeps them from making poor decisions. Within the United States, 1/3 of all teen girls will become pregnant, 1 in 4 will contract a sexually transmitted disease, millions will turn to drugs and alcohol, and more and more are becoming violent. These alarming statistics don’t only suggest that more emphasis needs to be placed on teaching teens morals and values, but demands it for the safety of our children and our nation. Additionally, teaching morals and values to teens instills in them the desirable principles in character that society considers worthwhile. Without strong character and moral conviction, teens cannot build self-esteem, experience social and emotional growth, or learn to take responsibility for their actions. The most effective way to teach teens morals and values is by example. Teens need a structured family environment, where they learn to be honest, healthy, moral, and safe by watching others. One study shows that only 2% of teens who smoke come from parents who do not. This suggests that while teens may not always listen to their parents, they are paying close attention to the examples that are being set. Eliminating harmful examples to your teens is important. It is recommended to restrict the types of movies they are permitted to watch, and discourage them from making friends who have values that are questionable. In addition to setting a powerful example, creating and using teachable moments can have a large impact on the way teens develop their character. Know your beliefs and share them. Family time can include a structured lesson plan that opens the floor to discuss important moral issues. Plus, as things come up in daily life, they should be used as teaching opportunities. For example, if a young girl in your teens school has become pregnant, talk about the issue and consequences of teen pregnancy with your teen. Discuss the struggle that the girl must go through and how it will affect her life and the babies. Some of the best teaching moments aren’t planned, but happen unexpectedly. If you commit to teaching values and morals to your teens, you will make and find opportunities to do so on a regular basis.